Photo Engraving is the most loved new trend as it allows you to memorialize your favorite photo into a piece of jewelry you can wear every day. 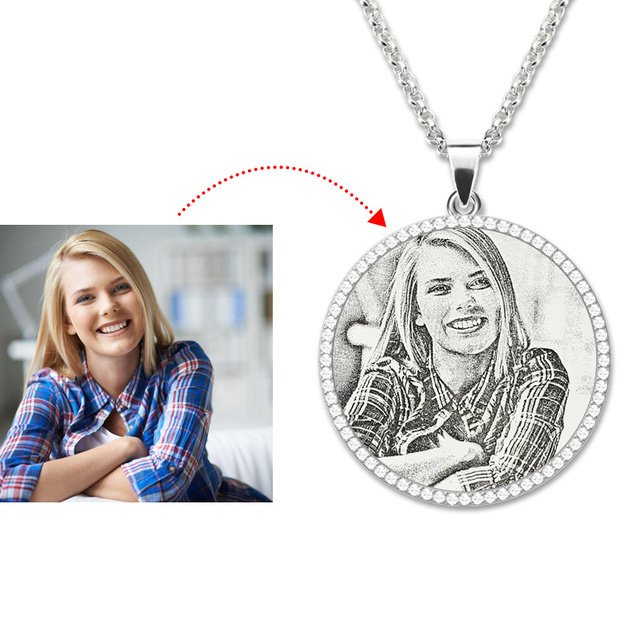 Round Photo Engraved Necklace is the perfect backdrop for your favorite photo . 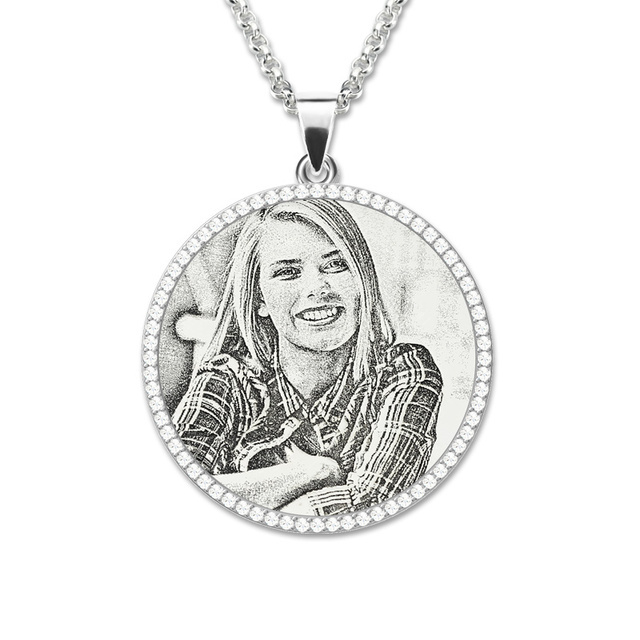 The Round Photo Charm Pendant comes in birthstone on the outside of circle . 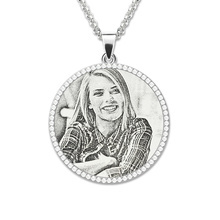 You may also choose a 14-22 inch sterling silver rolo chain for your photo necklace. 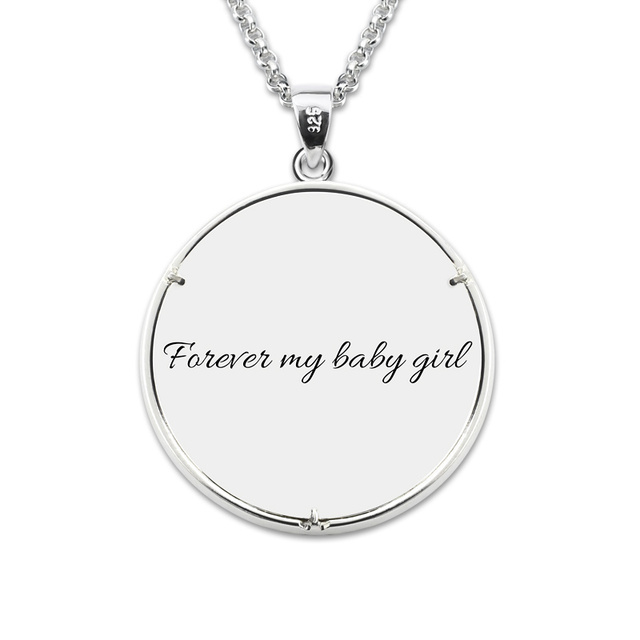 Add an extra level of personalization by placing an engraving on the back of this round photo pendant. Excellent quality! Very nice presentation! Chain is very nice! Will order again! Great store gorgeous necklace i recommend to 100% j'adore. 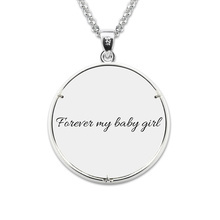 I recommended one for my mom! Absolutely beautiful! very nice quality and presentation. Very nice blue box and little bag. Looks like Tiffany's in NYC. Will order again!